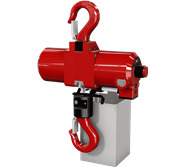 We are the lifting specialists! 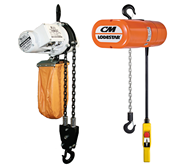 Here at SafetyLiftinGear.com, we stock a huge range of lifting hoists to help you raise heavy loads. 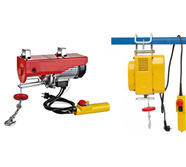 Whether you’re looking for a chain block, a lever hoist, or an electric hoist with a remote control, we’re sure to have exactly what you need. 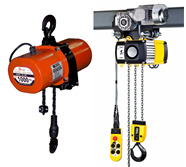 Need some help finding the right hoist for the job? 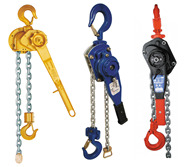 As you can see, we have an incredibly diverse range of hoisting products in stock here at SafetyLiftinGear. 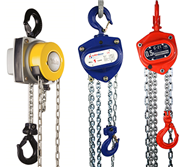 If you’re struggling to find what you need, please don’t hesitate to contact our Customer Service team, who will be more than happy to help you navigate our huge collection of lifting hoists. 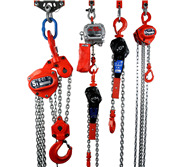 Of course, hoists aren’t the only things we sell – we have all kind of other lifting products available to buy and hire, including slings, chains, beam clamps, shackles and more. 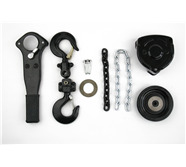 Click the link below to browse our full range of lifting gear.